What's the best Graphics Card for Ethereum Mining? If you are thinking of getting into Ethereum Mining and start building your own ethereum mining rig so this article helps you a lot for choosing the best graphics card for Ethereum Mining. The main part of the GPU Mining is the graphics processing unit (GPU). The better you have graphics card, the more you get profits from mining. First of all make sure what do you really want to optimize for? Lowest upfront cost per unit hash rate? Lowest ongoing cost (upfront + electricity)? Best hash rate per unit electricity? Lowest heat (and electricity) per unit hash rate? In my opinion, the best current GPUs are the following below for Ethereum Mining but the answer is more complicated and all this depends on the cost of hardware and the cost of your electricity. Currently, the best graphics cards for ethereum mining is GTX 1070 and GTX 1080 after that RX 580 and RX 480 but AMD Radeon RX 480 and Radeon RX 580 graphics cards are sold out generally all around! we are all mining Ethereum on re-appropriated time and rather than waiting on AMD Radeon RX 480/580 cards to come into stock you might need to look around some other cards available. So my first graphics card option fot ethereum mining is GTX 1080 and GTX 1070 had really good hash rate producing with us indicating 31 mh/s of mining speed and only consuming 100w, below there are some other graphics cards which are working perfect. For the lowest electricity and high hash rate, one and only GeForce GTX 1070. For the lowest heat and electricity per unit hash rate I would suggest R9 Nano. For best hash rate per unit electricity I would suggest the R9 Fury X. Here is a link to a site that allows you to compare the different GPUs - http://www.mininghwcomparison.com/list/index.php?brand=both . Type "Ethereum" in the filter. You don't need a fast motherboard and CPU but make sure you know about this, AMD CPUs use more electricity than the equivalent Intel CPUs but AMD CPUs are cheaper than Intel CPUs. Finally Now it's up to you which graphics card you select for your Ethereum Mining. 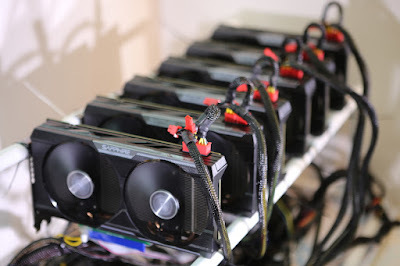 If you want to build your very own GPU mining rig and you are confusing which hardware is better to used in your ethereum mining than visit here. This article helps you a lot! Interesting, i'm using R9 290 from past 3 months and its working amaze. Hi Roger. I'm interested to know what 'working amaze' means. How much is it making you? I'm new at the game and trying to inform myself. Can we use this SAPPHIRE Radeon NITRO RX 460 ?How much we get Mh/s from this card ? You will try 470 or 480 instead of 460. Was the new radeon 500 series considered? I did a quick comparison and found they beat the 400 series handily in terms of Gflops/W and Gflops/$. hello i have msi radeon 2x rx 480 46.4 Mh/s i am use minergate, u know other best program? Personally I'm using Claymore Miner, It is best around all miners and easy to set up. I've never face any issue with this miner. Can i also mine other currency with this rig? Like monero? Will it be still profitable to mine ethereum if i build mine now? hi mate, while you pointed out the rx 580 in the first place did you mean the 4gb or 8gb version? ANY ALTERNATIVES OTHER THAN THE RX 580. Raspberry Pi Mining Cryptocurrencies Is It Possible?